On 3rd and 4th October the world united for wildlife. In the largest show of support for a species, it was a truly heartwarming moment to witness crowds of passionate supporters take to the streets. From Nairobi to Vermont, Rome to London, people rallied together in solidarity for elephants and rhinos to raise vital awareness of the poaching crisis and importantly appeal for change from political leaders in ending the slaughter and banning domestic ivory and rhino horn markets. In London, more than 800 people lined the city’s busiest streets, before The David Sheldrick Wildlife Trust, International Fund for Animal Welfare, Action for Elephants UK and Born Free Foundation headed to Downing Street to present a letter to Prime Minister David Cameron calling for a commitment to end all domestic trade in ivory in the UK. Since the first iworry International March for Elephants in 2013, we have witnessed encouraging and positive developments for elephants, including numerous ivory destructions, enhanced security at ports, U.S State bans on ivory sales and importantly the joint announcement from the U.S and China to work together to enact “nearly complete bans” in ivory sales. 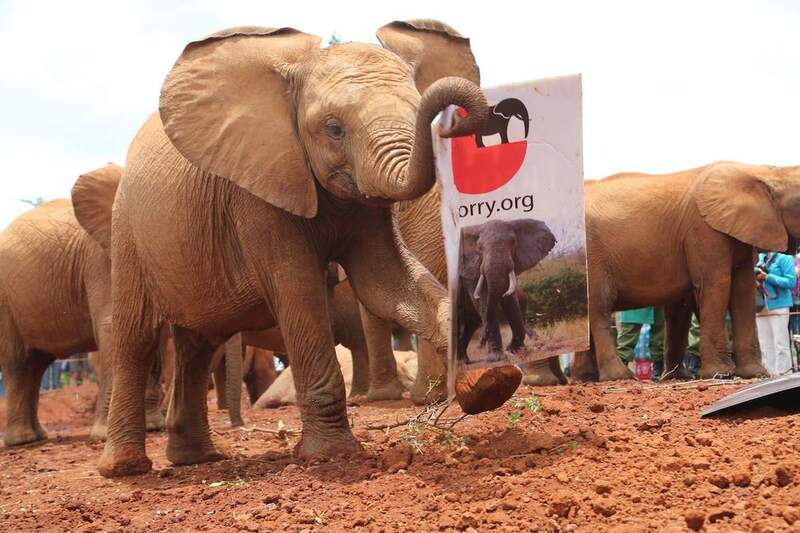 In the subsequent 2 years, the Global March for Elephants and Rhinos has grown from the seed we planted and the DSWT is proud and honored to play a part in this community driven campaign, which allows all of us to have a voice and to offer that voice for the elephants and rhinos that continue to be killed for their tusks and horns.